This site has won "The BRILLIANeT Award"
because of its great content and design! has won the Westfield Web Site of the Week. Thank you very much for giving me the opportunity to review your site. I was very impressed by all the hard work you have put into your web site. I found it to be excellent, very well designed in both the layout and its content. Thank you for visiting our corner of the web, signing my guestbook and giving me the opportunity to visit your site. I was very impressed by all the hard work you have put into the site and have to congratulate you on a wonderful achievement in web site design. I would like to extend my congratulations on producing a very interesting, informative and resourceful web site about the Fiat Bravo for all your visitors to enjoy. An excellent addition to the web, one that you should be very proud of. We are pleased to announce that your submission for the Quatec Website Design Award has been approved. Your site was reviewed for originality, usefulness of information, graphic design, and was found to add an outstanding artistic flair, careful and concise design, and a wealth of information. Your site enhances the originality of our Internet community. Your site has recently been reviewed by our design team and we would like to present you with this award! Congratulations!! 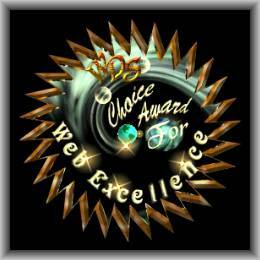 You have won the WDS Bronze Choice Award For Web Excellence from the Web Design Studio. This award is given to outstanding WebPages. You have done a wonderful job on your site keep up the good work. Your site has been awarded the G Page Cool award. our 'Five Star Site Award'.